School Fundraising takes time and it is a lot of work! Organizing a school fundraiser is no simple task. You need to find sponsors, recruit volunteers, arrange a location/activities, spread the word about the fundraiser and hope the weather cooperates. The list is endless and ticking off each item requires multiple hours of volunteer work. Overall, school fundraising takes time and it is a lot of work! What if you could do away with 80% of your school fundraisers? Over 76% of schools in the US have 5 or more fundraisers/year. With this flood of fundraisers, it is no surprise that parents have become weary of these PTA organized events. Clearly, the standard fundraisers are not working! Parents are a highly sought after target by vendors. The private and secure school directory app used by school parents provides an ideal platform for local vendors who wish to support their local schools and at the same time promote their business. 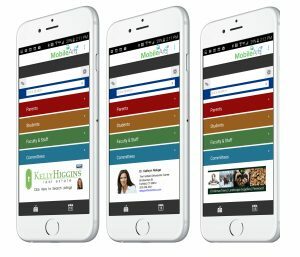 In contrast to print advertising, vendors will be provided comprehensive analytics that will include number of impressions (views) and click-through rates enabling the vendor to assess the effectiveness of the mobile media ad campaign. School fundraisers require a big investment of time and effort. Example: Family fun day or night when you have all of the families in the school on a Friday night or a Saturday. Takes months to organize a family fun day!!! With a plug and play eCommerce platform for schools, the school PTA volunteers can setup online stores for selling spirit wear, e.g. T-shirts or tickets to a school play or pancake breakfast in minutes. After setting up the online stores, parents are notified about the online stores and the items to be sold. Parents can view these ‘on sale’ items and purchase them and contribute to the fundraisers from the comfort of their home or right from their work. Money collected through online payment system, with every transaction being recorded and tabled represents a major benefit to the PTA or PTO treasurer. 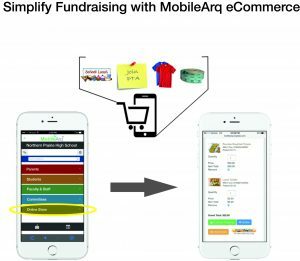 A complete accounting of the fundraising transactions and the money raised by the eCommerce platform with a single click.